Are you guilty of killing your own creative dreams? Pencil Kings » Blog » General » Are you Guilty of Killing Your Own Creative Dreams? Part 3 [You Are Here] – Are you Guilty of Killing Your Own Creative Dreams? Are you killing your own creative dreams? Yesterday, we talked about the difference in mindset between those who were able to move forward with their creative pursuits and those who seem to get stuck. And, the day before that, we talked about three different methods you could use to land a creative job. Today, I’d like to talk about a third issue I see with a lot of people that’s holding them back. And that’s the very real fear we all experience when we do something outside our normal comfort zone. A perfect example of this is someone who has a lot of skill but has never done anything professionally with their art. And the reason why they haven’t moved forward is they’re afraid of what others might say about their work. Even though anyone could look at their work and agree it’s of amazingly high quality, the artist who created it actually feels inferior, and is therefore afraid of letting anyone see and judge their work. It’s always much safer to play it safe and play it small. However, the possibility of something really great happening is also really small when you’re not allowing anyone else to see what you’re working on and not releasing your creations to the public. Fear affects us all in different ways. There may be things I’m completely afraid of that you have no problem with, and the reverse situation can also very easily be true. And it isn’t always a bad thing. For example, fear is good when it stops us from doing crazy things like walking into oncoming traffic! However, it doesn’t help us at all when it holds us back from realizing our true potential.FREE Live Training: Have a big project on your mind? Learn how to turn creative dreams into creative reality. What’s Holding Your Creative Dreams Back? Here’s an example of what I’m talking about. There’s a student who graduates art school with pretty good grades. He gets a solid B average across all his courses, and he’s got a pretty good portfolio. In fact, he’s even got an ‘in’ (meaning someone he knows who works inside the company he wants to work at) to a great studio. However, there’s a catch. There’s something holding him back that will never let him get that job. There’s a woman who has recently retired from her career as a nurse. When she was younger, she really enjoyed drawing and being creative. She never told anyone, but she wrote and illustrated a children’s book in her spare time at work. She’s been working at it on and off for the past five years, and it’s actually highly polished and very entertaining. But again, there’s a catch. There’s something holding her back; something that will never let her book be published. And, as a result, no-one will ever read it. It makes me sad to think about people who are unable to move ahead with their creative projects. This could mean getting the great job you’ve always wanted or finishing the big creative project you’ve had on your mind for years. 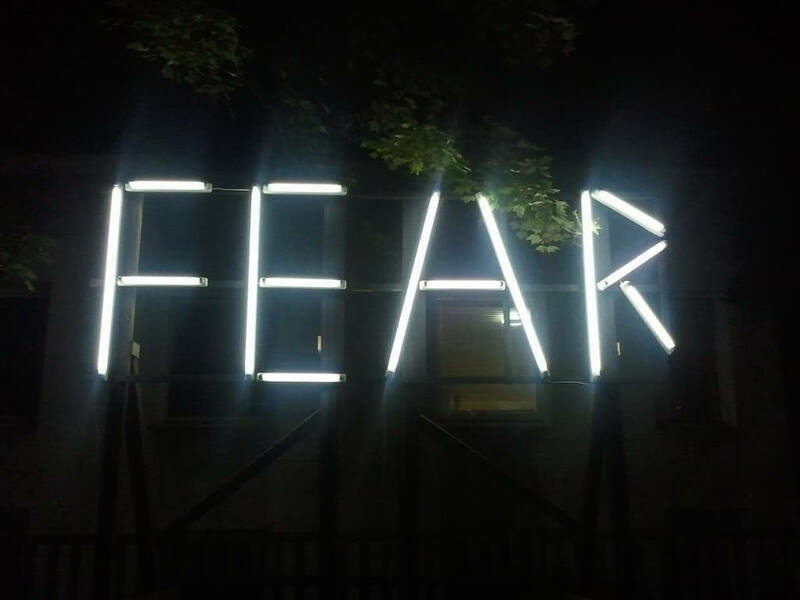 Fear can stop your creative dreams in their tracks. So don’t let it! Here’s the reason why both of these projects are going to fail: Fear. Even though the odds are clearly stacked in favor of both people in these examples, nothing is ever going to happen. They’re never going to follow their creative dreams. And that’s because they’re afraid to take the next step. So, there won’t be any dramatic music to accompany this sad story. No-one will really care about their dreams slowly fading away…because they never knew about them in the first place. They were invisible, unknown, creative dreams… and the world will keep turning, just as it always has. But this frustrates the heck out of me. I don’t want you to give up on your own creative dreams. I want you to have everything you want in your life that you’re willing to work towards. I think you deserve it. Most importantly, I want you to realize that you are worth it. Your creative dreams are worth paying attention to and acting upon. Now, it might be scary to move forwards with your creative dreams at first, because you don’t know what is going to happen. It’s perfectly natural to feel some resistance or even to be afraid. But, you need to realize your resistance, and still continue to move forwards so you can share your gifts with the rest of the world. Even if you totally bomb out and fail, I think we can all agree it’s much better to have tried your best than not to have tried at all. In other words, it’s much better to say that you tried but it just didn’t work out; instead of telling the story that you always wanted to be a creative person… but you just never took the chance. So, instead, you played it safe and lived a boring life that wasn’t true to your real self and your creative dreams. There are two other big mindset issues that can hold you back from completing your big creative project. So I’ve put together a free video for you here, which shows you what those two other mindset issues are. There’s also an opportunity to join a private training program that we’re going to be running shortly. If you’re interested, you can just click the link and take a look at the video. It’s about 30 minutes long, and it covers what it takes to really make it through and finish off your breakthrough creative project. I hope it helps you follow all your creative dreams.